DALLAS, TX -- Heisman Trophy-winning quarterback Johnny Manziel has reached a deal with prosecutors for the conditional dismissal of a domestic assault case involving his former girlfriend. Defense attorney Jim Darnell said there was still work to be done, but said after a Thursday morning hearing that he was encouraged. A judge set another hearing for Dec. 1, when the case could be settled. "That's all in progress," Darnell said regarding the conditions of any agreement. "Until we get something done, if we do, then we'll announce it." The troubled former Cleveland quarterback left the courtroom without responding to questions, talking on his phone as he walked ahead of reporters and cameramen and quickly getting in a car driven by Darnell. "He's doing OK," Darnell said. "Tough kid." The 23-year-old Manziel is accused of hitting and threatening former girlfriend Colleen Crowley during a night out in January. The misdemeanor charge against the former Texas A&M star carries a penalty of up to a year in jail and a $4,000 fine. Judge Roberto Canas met in chambers for about 15 minutes with the defense and prosecutors. Manziel left the meeting after about five minutes and sat alone at the defense table, mostly looking down. The hearing after the meeting was brief, with Canas setting the next court date. "Everybody will be required to be here," Canas said. "Then we will get this case down the road." A spokeswoman for Dallas County prosecutors didn't immediately respond to a request for comment. Cleveland took Manziel 22nd overall in the 2014 draft, and the Browns cut him in March after two tumultuous seasons marked by inconsistent play and off-the-field headlines about his partying and drinking, including one stint in rehab. Even though he's an unsigned free agent, Manziel served a four-game suspension to start the 2016 season over a substance-abuse violation. NFL spokesman Brian McCarthy said the domestic case remains under review by the league. Since the 2015 season ended, Manziel has been dumped by two agents after both demanded a second trip to rehab. The allegations in the domestic case stem from a night out on Jan. 30. 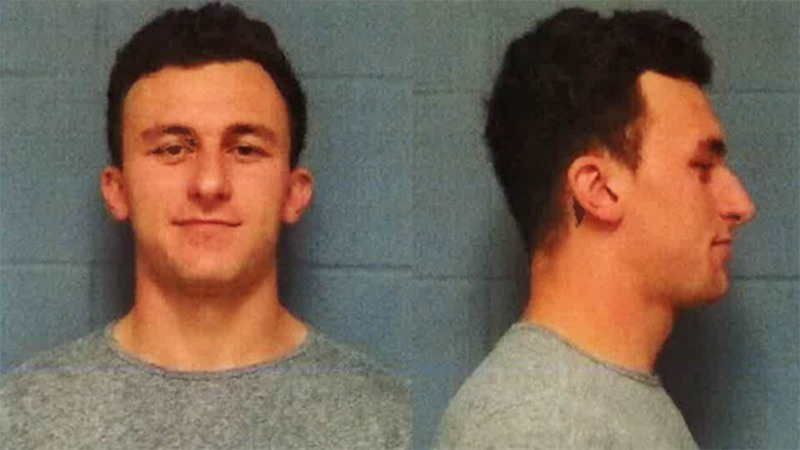 Crowley said Manziel accosted her at a Dallas hotel, a confrontation that continued downstairs to the valet station. She said he forced her into a car and a valet disregarded her pleas for help.